President Donald Trump in the Rose Garden Thursday announcing he will withdraw from the Paris Accord. In Evanston, both Mayor Steve Hagerty and University President Morton Schapiro criticized Trump's decision. University President Morton Schapiro and Evanston Mayor Steve Hagerty on Friday criticized President Donald Trump’s decision to withdraw from the Paris Climate Accord and pledged to remain dedicated to the cause. Schapiro and Hagerty both signed on to statements promising they would continue to uphold the agreement, which aims to inhibit the increase in global temperature this century. The climate accord has been signed by all of the United Nations countries except Syria and Nicaragua. Trump said in a news conference Friday that he elected to quit the agreement because it “disadvantages” the United States. 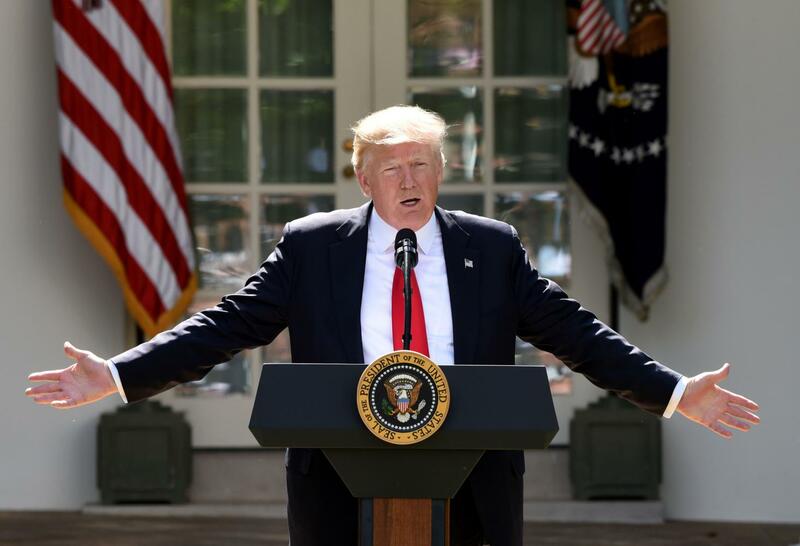 The Paris Accord hurt U.S. industry and would decrease manufacturing jobs, Trump said. The terms subject the U.S. to “harsh economic restrictions” while imposing no constraints on other polluting countries, he added. Northwestern responded to the withdrawal by signing the Grand Coalition Statement on the Paris Agreement — an open letter to the international community that reaffirms support for the accord. Hagerty released a statement Friday repudiating Trump’s decision to exit the agreement. The mayor said Evanston would remain committed to upholding the goals of the Paris Accord to reduce greenhouse gas emissions. In the 2014 Evanston Livability Plan, the city set out plans to reduce its emissions 20 percent by 2016 compared to 2005 baseline levels. Hagerty said those efforts are currently under evaluation. “I’m committed to continuous action to reduce greenhouse gas emissions in our city, encourage energy efficiency, and work toward a sustainable future for all,” Hagerty said.